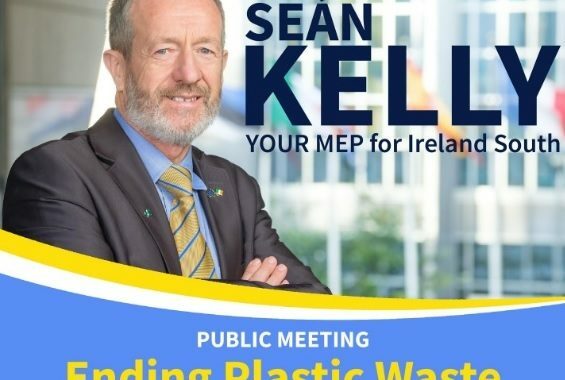 Sean Kelly MEP will host a public meeting on ‘Ending Plastic Waste’ on Thursday 11th April 2019 at the Old Ground Hotel, Ennis. Registration and refreshments will be served from 6.30pm . The event will run from 7pm – 9pm. This timely event will emphasise the importance of the problem of excessive waste and pollution from plastics, and look at the ways to combat it. Speakers will include representatives from the Irish Government and relevant stakeholders in the plastics and biodegradables industries. 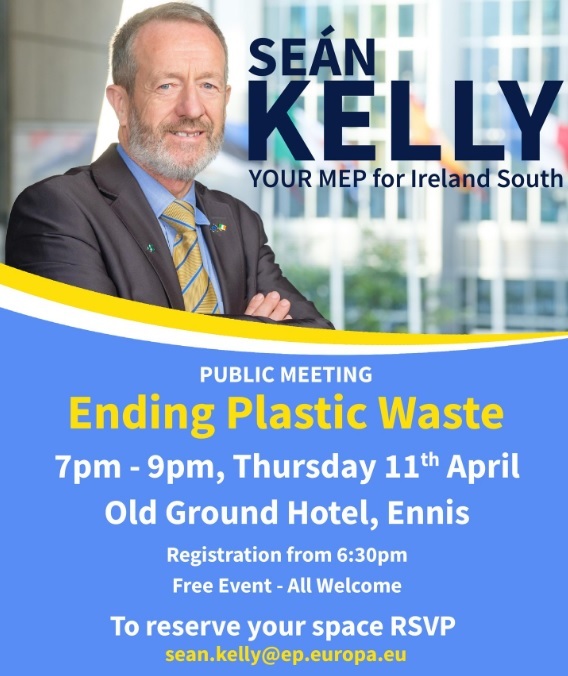 To confirm attendance please email sean.kelly@ep.europa.eu at your earliest convenience.